Jeff Loether is a leader in both the hospitality and event technology industries, and provides world-class ArchiTechnology consulting for entertainment and event spaces. His 40+ years of experience and reputation makes him the prime resource for architects, hotel developers, and management companies looking to optimize their event and entertainment venues through practical design and profitable operations. Jeff authored the Master Design Brand Standards for Audio Visual and Acoustics for many of the industry’s leading five-star hotel flags and for the International Association of Conference Centers. In 1990, Jeff founded Electro-Media Design Ltd., as he saw the need to create a cooperative independent consulting practice (no equipment sales) that supports innovative and practical approaches to Audio Visual (A/V) and Building Acoustics design and implementation. His team’s mission is to provide clients: “Better Meetings = Better Bottom Line” results by designing cost-effective and reliable systems that are easy to use. They also develop Managed Event Technology Service departments for client hotels that provide great guest service and experiences. It is these two paired-components that create the highest ROI for the owner and property manager. Prior to establishing Electro-Media Design, Ltd. Jeff served as the Manager of Audio/Video Systems Design for Marriott’s Architecture and Construction Division from 1980 to 1990. He developed the Master Standards and directed the conceptual development, design document production, procurement, installation, testing, and the final acceptance of presentation and entertainment media systems for all of Marriott’s various facilities worldwide. While with Marriott, he completed over 250 projects including those for four and five-star resorts, convention and conference centers, corporate and educational facilities, and senior living communities. Jeff received his BGS degree in Audio Technology and Computers for Business from American University in 1985. Throughout his career with Marriott and since, as a technology consulting professional within the hospitality industry, Jeff is recognized as one of its thought-leaders and has developed and taught many workshops, seminars, and classes for the design and facility management industries. He serves as the Technology Partner to the International Association of Conference Centers and received the Award for Excellence in Education and the Pyramid Award for his work with IACC. Jeff is also an Adjunct Instructor for InfoComm and the International Communications Industries Association, the leading A/V trade association. Jeff was inducted into the International Society of Hospitality Consultants (ISHC) in recognition of his accomplishments. 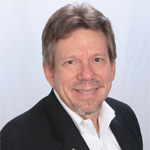 He is a Founding Member of the Independent Consultants in Audiovisual Technologies (ICAT), a council of InfoComm and is currently serving on the Board of Directors, North America for the International Association of Conference Centers (IACC). He enjoys boating on the Chesapeake with his bride, Lilly, aboard their Coaster, WaterLilly. Jeff also has developed and licensed several inventions and enjoys woodworking, barbershop singing, and handcrafting exceptional hot pepper relish from his pepper garden.